Have you ever sat down and contemplated where you come from? Have you wondered where your personality traits or passions come from? In recent years I lost 3 of my 4 grandparents and with each loss came a small regret of not paying more attention to my family history. Through our loss we plotted the family tree and re-connected with long lost relatives. I have always felt fortunate to have grandparents in my adult life but I wish we'd asked a few more questions. My maternal grandmother is still with us but she has dementia and so those days of asking questions become few and far between. My grandmother was born and raised in Austria. When I was a child her stories of growing up in another country were magical and she'd always been very open about her experience living through the war. I definitely think I owe my sense of adventure to her, how thrilling and terrifying it must have been to leave Austria for a new home in Britain. DNA ancestry testing has been on my mind for some time now. It might seem silly but it was a curiosity triggered not only through loss but also by travel. Have you ever visited a city or country and had a sense of feeling at home? On our summer trip to Italy, I had joked that I wondered if could ever claim myself as having Italian or Spanish roots since I adore visiting both countries. It's because of these thoughts that I pursued an opportunity to take a DNA test with Living DNA. 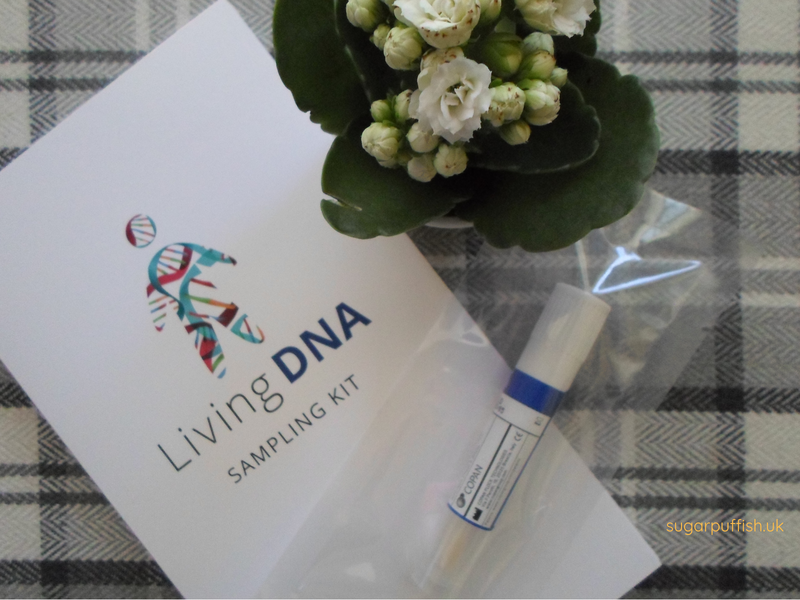 The Living DNA ancestry test process is very simple, with a step by step guide to the sampling kit. Your test has an activation code which you register online and that connects with the swab packet which you return for DNA testing. Living DNA requires a mouth swab which collects the cells from the inside of your cheek. It’s painless and in basic terms it involves a cotton bud which you rub gently inside the mouth. Once you have posted back the test then you wait for the results. I initially received an email to confirm receipt and then again when the results were in. You can track the entire process through your online account. It can take 8-12 weeks but in my case my sample was received 8 August and the results came in on 6 September. The Living DNA cost includes a lifetime membership and you have access to the website platform which allows you to revisit your results at any time, it also allows for updates as new research is added and science evolves. Your ancestry results are displayed clearly, breaking it down into percentages over 80 worldwide regions, including 21 UK regions. In addition it allows you to look back over multiple generations to see your ancestry throughout human history. From my experience, the results platform is very user friendly and full of fascinating history facts to help you understand the information presented to you. Living DNA uses the newest DNA chip and innovative software technology, developed with top academic experts. They also worked with experts to create the groundbreaking Orion chip to help select the DNA markers that tell us the most. Moving forward there will be the launch of Living DNA’s Family Network and in partnership with the genealogy records website Find My Past this could give you the opportunity to connect with living relatives. So who am I? The screenshot above gives an overview of my family ancestry and there is no denying I'm British (79.8% chuckles to myself, as was hoping for some weird random unexplained result). 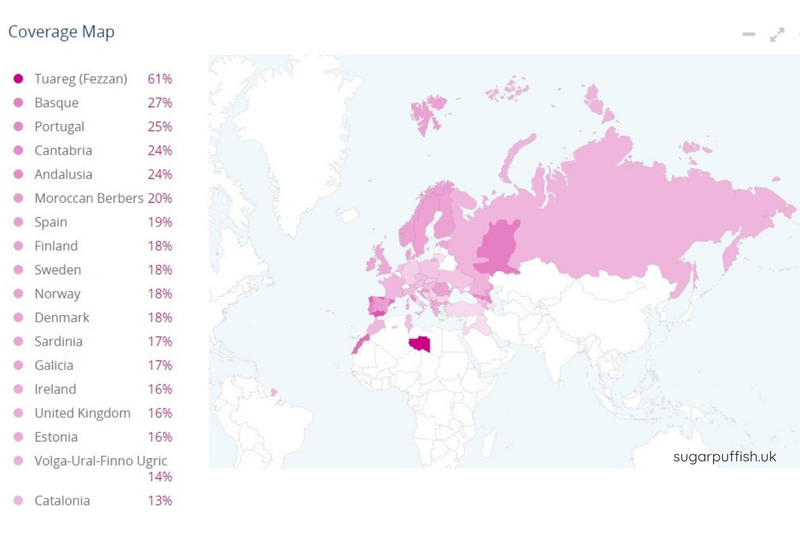 I can break it down further by sub-regions which reveals my English roots are in the South East (35.8%) and the Europe East is 9.8% Baltics and 5% Mordovia. I assume all those little European traits could be connected with my maternal grandmother. 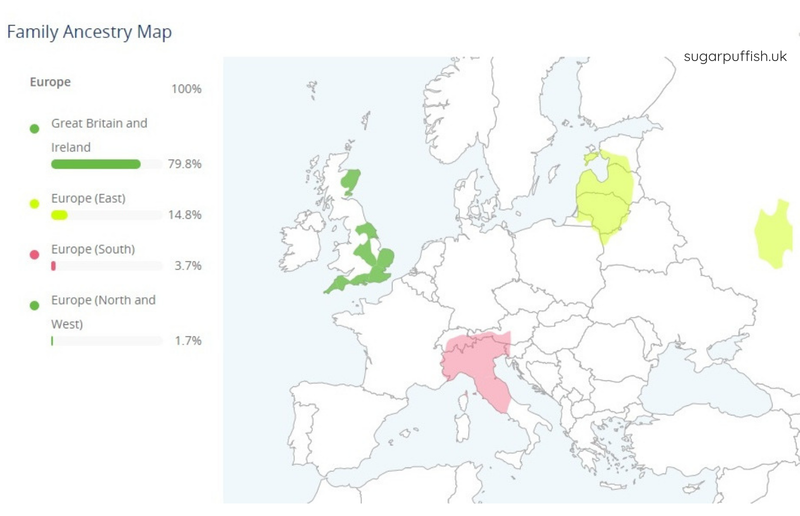 It also turns out I can claim a little bit Italian after all (2.1% Tuscany & 1.6% North Italy). The motherline (the DNA that passes from mother to child) is fascinating and allows you to explore the possible migration routes of your ancestors. It’s at this point that I discover there was a strong migration route through Spain (pictured below). I think what I take away from this experience is appreciation of how we connect across the world through migration. I’m fortunate to have grown up with British and Austrian heritage and part of my extended family is Greek so I’ve always felt blessed to have these experiences. If you have ever been interested in your family tree then I think Living DNA can compliment that curiosity. Do you have an interest in where you come from? Have you or would you like to take a DNA Ancestry test? Do you think there would be any surprising results?